Imulsion's effects on Sera's inhabitants have given birth to a new species known as the Lambent. Ravaged by prolonged exposure to Imulsion, some Lambent have even evolved the ability to mutate. 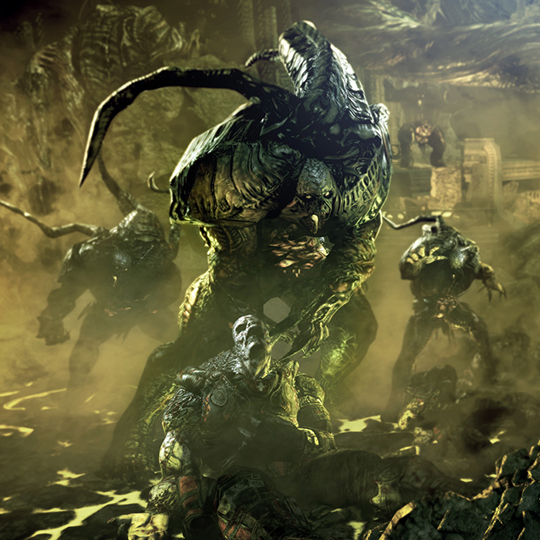 The Lambent have become the Coalition of Ordered Governments' primary threat since the sinking of Jacinto (i.e., end of Gears of War 2). Enemy of both COG and Locust, the Lambent attack without prejudice and often spawn from pods growing like diseased pustules on towering stalks that sprout violently without warning. They're distinct in the sense that they glow yellow and blow up when you kill them.